A colt by Cox Plate (Gr. 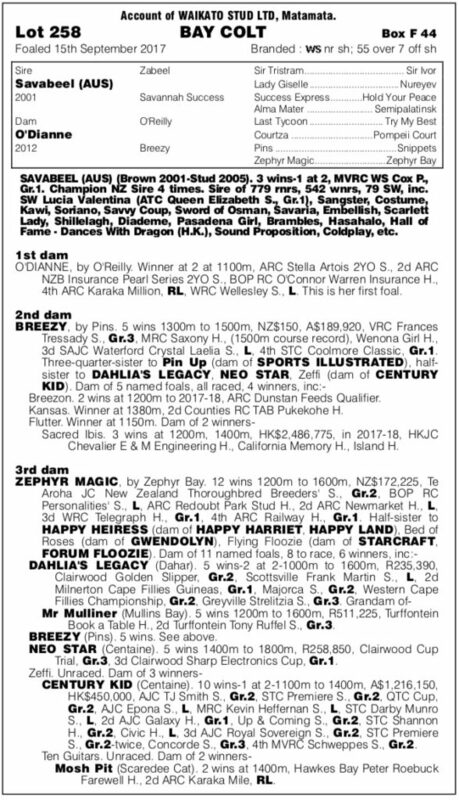 1, 2040m) winning three-year-old Savabeel (Zabeel), a four-time Champion sire, that proved himself to be one of the most versatile stallions in Australasia. The colt has a lovely cross of immortal sire Northern Dancer on the dam side of Zabeel, the sire of Savabeel, and the sire line of dam sire O’Reilly. He is an absolutely sensational first foal from the mare. Grand-dam, Breezy, by Pins, was a Group Three winner of five races to 1500 metres, while third dam, Zephyr Magic (Zephyr Bay) won 12 races to a mile including the NZ Thoroughbred Breeders’ Stakes. 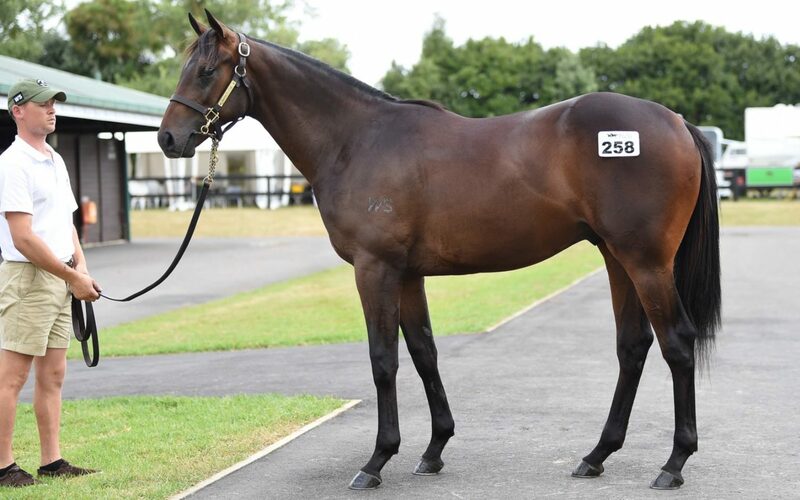 “He’s a really precocious Karaka Million type of colt and given there was so much competition on him in the sales ring we had to stretch our budget a little in order to secure him,” Ellis said. This colt will be a breeding syndicate colt.